FAIRFAX, Va.—InfinityQS® International, Inc. (InfinityQS), a provider of statistical process control (SPC) software and services aimed at improving quality, released its latest manufacturing industry survey revealing that 64 percent of global manufacturers find a lack of available budget as the main barrier preventing them from greater IT investment. Further, 59 percent cite lack of available resources, and 47 percent claim other business priorities as additional factors holding them back from their digital ambitions, the company said in a press release. The survey obtained responses from 118 global manufacturers with questions aimed at understanding their level of digital maturity, existing digital infrastructure, and IT expectations over the next 18 months. Despite nearly half (47 percent) of the respondents expecting to invest in data collection technologies, the lack of budget, resources, and time are standing in the way of their plans for digital transformation. “Having the right technology in place to capture data is becoming critical, but our survey results suggest that demand is not translating into action,” said Michael Lyle, president and CEO of InfinityQS, in a statement. “Restrictions on IT budgets mean firms must continue relying on legacy approaches—such as pen and paper—to record information. On the surface, manufacturers may think they are saving money by not innovating, but in fact, what they are doing is opening themselves up to misinformation by not making use of accurate data streams. “Fortunately, the increasing availability of advanced cloud-based solutions, such as Quality Intelligence and automated data collection methods, has made procurement more affordable and easier for in-house IT teams to financially digest,” added Lyle. “The costs associated with digital transformation can be recouped through production line and process improvements, delivering higher ROIs for businesses. By taking advantage of the latest cloud solutions, manufacturers will gain enhanced visibility, while the versatility of the cloud will also allow them to harness these benefits among increasingly tightening budgets. “The subscription-based models of cloud solutions can provide manufacturers with cost-effective options that require minimal infrastructure investment. Cloud-based solutions can also mitigate the lack of resources availability by providing intuitive ‘point and click’ interfaces that enable rapid setup, configuration, and deployment of IT infrastructure without the need for heavy investment. 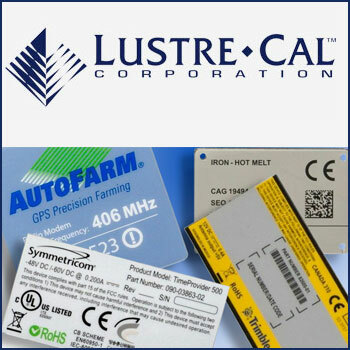 This will prove vital for future-proofing the business in the era of digitalization and will lead to significant cost reduction and improved bottom lines, which can then be reinvested within the operational and supply chain side of the business,” concluded Lyle. InfinityQS’s (www.infinityqs.com) Quality Intelligence software products, Enact™ and ProFicient™, are said to deliver high visibility and strategic insight across the enterprise, from the shop floor to the boardroom, enabling manufacturers to re-imagine quality and transform it from a problem into a competitive advantage. Powered by centralized statistical process control (SPC) analytics, InfinityQS solutions provide operational insight to enable global manufacturers to improve product quality; decrease costs and risk; maintain or improve compliance; and make strategic, data-driven business decisions.